Son of John MacMurray (1737-1793) of Edinburgh, who founded the John Murray publishing house in Fleet Street, London. His mother Hester Weemss was his father's second wife and the younger sister of his first wife Nancy (d.1776). There were no children from the first marriage, but he had an older half-brother, Archie (b.1770) from an unknown mother. When he was almost fifteen his father died. He was meant to enter the navy, but after he lost the sight of his right eye at the Royal Navy Academy in Gosport. He was apprenticed to Samuel Highley, who had been his father's shopman. After his mother remarried to captain Henry Paget he entered into a partnership with Highley, but it was dissolved in 1803 on Murrayá request. From then on he ran his own business and he published Sir Walter Scott, Lord Byron, Jane Austen and Robert Southey and his courage as a published caused Byron to call him 'the Anak of publishers', referring to Anak in "The Book of Numbers". In 1807 he married Anne Elliot, the daughter of the publisher Charles Elliot of Edinburgh. In 1808 their son, the third John, was born. In 1808 he started the "Quarterly Review", edited by William Gifford. In 1812 he bought William Miller's publishing house and he moved to 50 Albermarle Street. There he was visited by most of the great authors of his time and at his home the first meeting between Lord Byron and Sir Walter Scott took place. When Byron was exiled in Italy Murray continued to publish his work and their letters show a close friendship. After Byron's fifth canto of "Don Juan" Murray (who was a tory) stopped publishing his work for political reasons and their friendship ended in 1822. 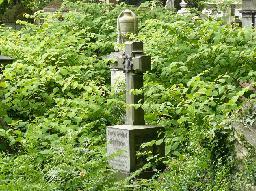 Still it was at his place that Byron's memoirs were burnt after the dead of the poet in 1824. 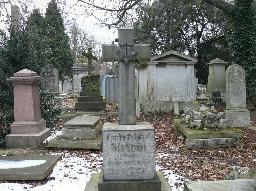 The grave of John Murray at Kensal Green Cemetery, London.